If you can't come to the library, we can bring the library to you! This is a free service. However, you must have an Enfield Public Library Card. If you do not have a library card we will assist you. 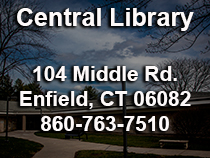 The Words on Wheels delivery service will deliver any materials that can be taken out from the Enfield Public Library. Library staff and volunteers will deliver and pick-up the materials on a monthly basis. If you prefer, a person designated by you can pick-up your materials at the library. Materials are selected by the library staff based on the individual’s preferences. You will also be able to request specific materials and titles of your own choosing. 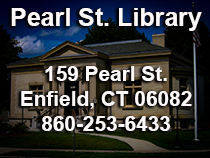 The Enfield Public Library’s Words On Wheels program is a personal service to our patrons who are unable to come to the library due to a permanent or temporary disability or illness. Patrons must reside in the town of Enfield and must be certified by a physician or health care provider. The physician's letter will be waived for patrons residing in convalescent homes and assisted living communities. Download the PDF or call or email the Public Services Librarian, Lisa Sprague, at 860-763-7418 for a Words on Wheels application.